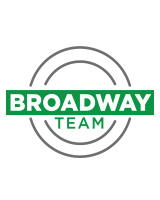 David Townsend and Jeff White are the Broadway Team, ready to work with clients in the Mid-Missouriarea. Whether looking to buy or sell, they can help you meet your real estate goals. Jeff is a fantastic realtor. We were newcomers to Columbia, and he did such a great job acquainting us with the city. He has a wealth of knowledge and a love of his hometown that shows. He was so patient with us as we did an exhaustive search for the perfect home. He left no stone unturned and found us lots of options we would never have known about without him. He understood and grasped our needs even before we did! He was always honest and frank and never once was he pushy in the slightest. I plan to recommend Jeff to everyone I know! Get started on finding your home today. See whats going on in the market.